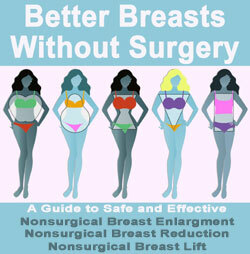 Breast augmentation for black women requires special care and expertise during the procedure. Darker skin tones are generally predisposed to experience more visible breast scarring than lighter skin. In addition, black skin is prone to the development of keloids, which can truly turn a normally small, insignificant scar into a raised and noticeable mark. These factors must be carefully considered and prepared for when considering any surgical procedure. This essay provides some helpful hints for women of color who are considering breast enlargement surgery. Breast enlargement through the belly button is an excellent solution for women who are likely to develop obvious scars from their surgery. The TUBA approach does not leave any visible evidence of the augmentation procedure. The transaxillary approach, through the armpit, is also a good option, since a scar here can be easily concealed. Black women who have developed noticeable or raised scars in the past should be extra careful when considering an inframammary or periareolar breast augmentation. It is wise to find a doctor who has extensive experience performing black plastic surgery. Certain pre-operative, surgical and post-operative techniques can help prevent or minimize scarring. These techniques will be available from any doctor who has performed many successful breast enhancements on black patients. Ask to see before and after photos of actual patients when choosing a doctor. Try to find doctors who have close-up views of the actual scars, so that you can judge whether or not this doctor might be the right one to perform your surgery. 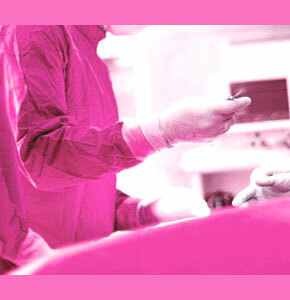 Beware of doctors who show photos which look altered or obviously hide the point of incision. This can be an indication of poor scar formation or generally poor surgical results. As a black woman, you have all the responsibilities of any other women considering breast augmentation surgery, with the added concerns of scarring and keloid formation. Even if you have never experienced these healing complications in the past, they still could be a concern during cosmetic surgery. Make sure to discuss these factors with your doctor prior to surgery. Ask you physician what measures can be taken to prevent scarring from potentially ruining the final results of any operation with a visible entry incision. Remember, nothing beats actual experience with black skin. Do not be afraid to bring up a doctor’s experience during your consultation and make sure to ask any question which concerns you.